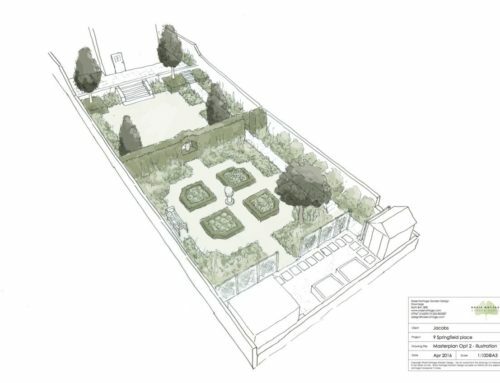 This is a garden overlooked on all sides and our brief was to create a secluded, private space. 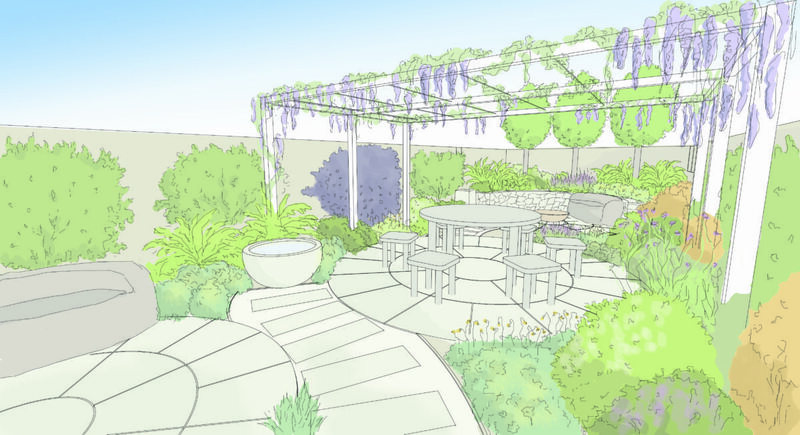 Three small trees are included at the end of the garden to give screening and a steel pergola allows fragrant roses and wisteria to grow over the garden, giving dappled shade and privacy. 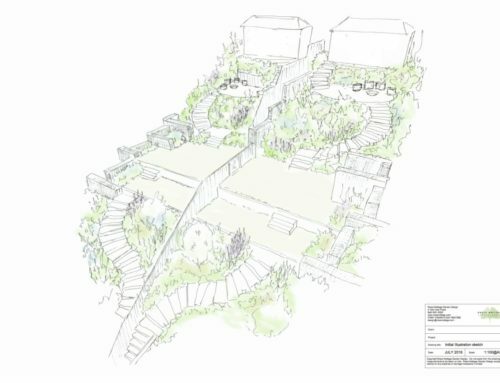 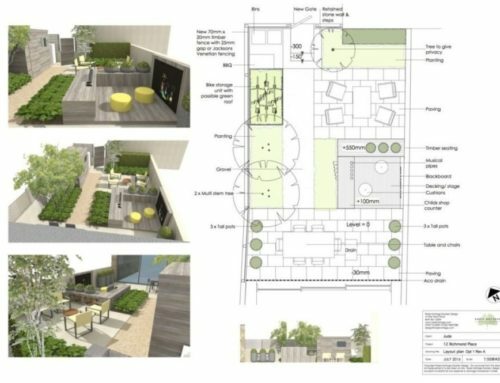 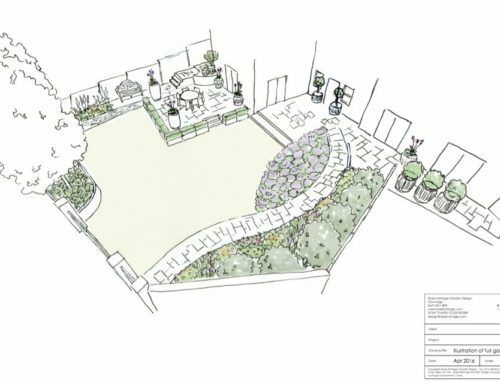 There are three seating areas throughout; one at the back of the garden with a firepit, one near the house with a bowl water feature from Urbis and one central seating area for guests underneath the pergola. 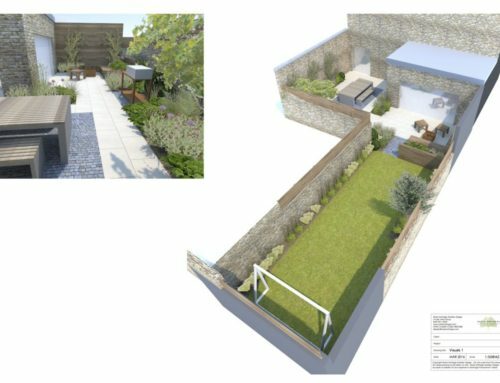 This project has been built and we will add some new photos as soon as the planting has established.